Many families like the ones profiled in this story leave home in search of a better life only to be detained after crossing the U.S. border. 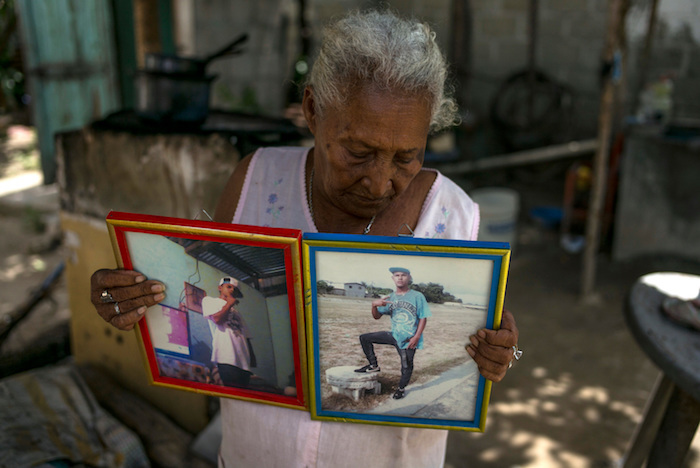 For over 20 years, the Flores Settlement has required the U.S. Government to release children in detention as soon as possible to their parents, guardians or relatives. In early September, the Department of Homeland Security proposed regulations that would allow children to be detained indefinitely. Both family separation and detention are bad for children. Please join our UNICEF UNITE grassroots advocates in speaking out to stop this harmful proposal. The steady flow of immigrants leaving Northern Central America reflects the grim realities of life for millions of children and their families from Honduras, El Salvador and Guatemala. Crushing poverty. Endemic crime. Gang-related violence, extortion and forced recruitment. High rates of domestic violence and sexual abuse of girls. Scarce social services. Limited opportunities to learn, or to earn a living. The desire of children to be with their parents, who are already working in the U.S. These are the conditions that prompt men, women and children to abandon their homes and embark on dangerous journeys to destinations to the north and south. Many blame the rise of organized crime, which flourished in the wake of civil wars in the region, leaving many people unemployed and with easy access to weapons. Violence increased further in the late 1990s after the U.S. deported numerous members of Mara Salvatrucha (MS-13) and Barrio 18, two notorious gangs that originated in Los Angeles. 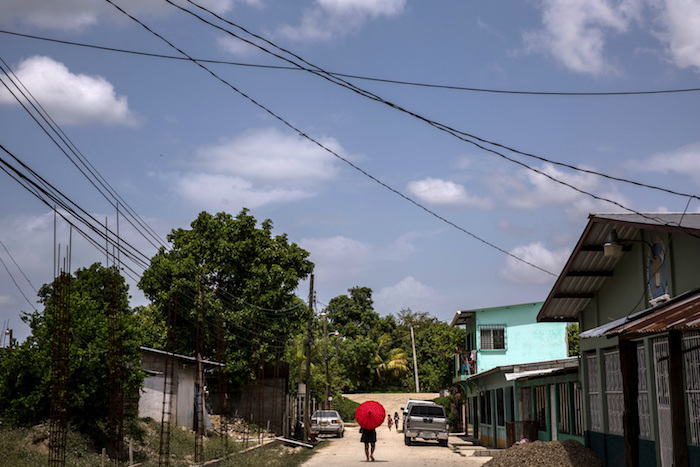 In 2017, 294,000 asylum seekers and refugees fled to Belize, Mexico and the U.S., where many had relatives, or to Costa Rica and Panama, in search of a better life. That's 16 times the number that had attempted to migrate in 2011, and a 58 percent increase from the year before. 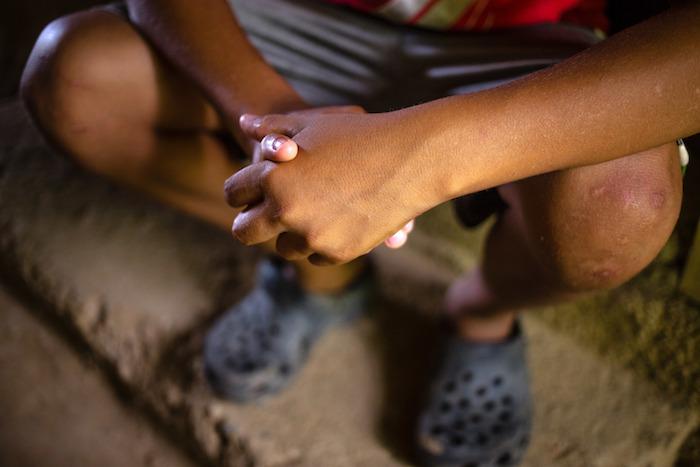 Deprived, detained, unprotected and often alone, the children who make these journeys are easy prey to traffickers and others who are out to abuse and exploit them. Children returned to their countries of origin often face community stigmatization, social exclusion and a renewed risk of violence. UNICEF works with national and local governments and civil society partners to support and protect these children — and to address the root causes that drive them to flee, with or without their parents, in the first place. UNICEF offices in El Salvador, Guatemala, Honduras and Mexico have expanded their work to meet the increasingly urgent needs. The work reflects a comprehensive approach that seeks to protect and support children where they are, where they are going and at critical points along the way. That means preventing and responding to violence; addressing poverty and improving life opportunities at home; strengthening access to services and providing care to children while they are in transit; supporting children during reintegration if they are returned to their home countries; and if they are not, supporting their social integration and protecting them from discrimination and xenophobia at their destination. UNICEF is also advocating for further investment by countries in their national child protection systems to reduce exploitation and violence, while calling for increasing accessibility and availability of alternatives to detention, to move toward ending the practice of detaining children because of their immigration status. 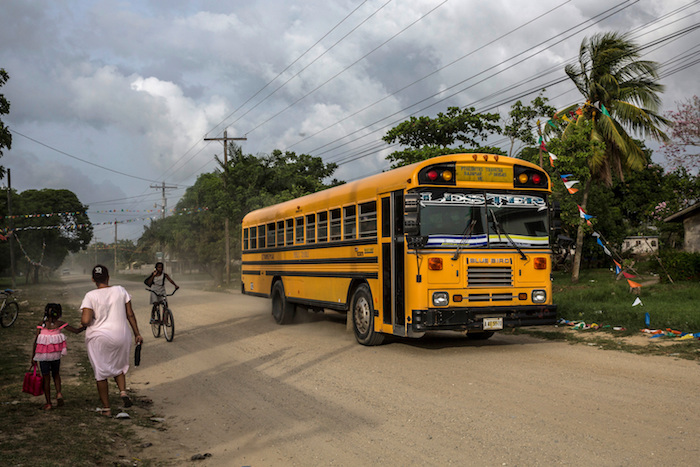 For many children living in El Salvador, Guatemala and Honduras, school is a very dangerous place. Violent gangs are known to target schools, bullying students, stealing their money, issuing threats and creating a climate of fear. As a result, many students stop attending class or begin to behave aggressively or even choose to join a gang. UNICEF has been working for years with municipal governments and schools in Central America to break that cycle of violence, by creating and supporting safe spaces where kids can engage in educational and vocational activities, free from fear of gangs and gang-related threats. UNICEF Honduras offers skills training, cultural and arts programs to help empower adolescents. With partner Mujeres en las Artes, the country office runs communities programs in 12 of the country's most violent municipalities, engaging thousands of children, adolescents and adults. UNICEF programs also provide targeted support to strengthen national and local child protection systems to protect children from different forms of violence. In response to a report that showed widespread use of corporal punishment and its negative impact on children's emotional development, UNICEF launched a program in Honduras that teaches nonviolent methods of discipline to parents, teachers and community leaders, which is helping to end the practice. For many refugees and asylum seekers, the journey ends with apprehension and detention in Mexico or the U.S. Nearly 64,000 migrants from Central America, including 11,000 women and children, were returned from the two countries between January and April 2018 alone — a 39 percent increase over the same period the previous year. When young people are deported, they are often stigmatized by the community, or are socially excluded. They may be targets of violence, or remain internally displaced and impoverished. UNICEF provides migrant children with specialized psychosocial support to address the trauma and stigma. In El Salvador, UNICEF is working to provide safe spaces, recreational activities, flexible education programs and vocational training options to the most vulnerable children and young people, including those who recently returned from other countries. Legal assistance, emotional counseling and other support programs for displaced families are being expanded. A digital tracking system is being developed to facilitate case management between reception centers and municipal services to more effectively manage the reintegration of migrant children. In Guatemala, UNICEF and partners are supporting government efforts to strengthen its cash assistance programs, Bono Seguro, designed to help families in need. The program specifically aims to ensure that children living in poverty and extreme poverty receive health services and education. UNICEF has also supported the development of Municipal Offices across the country to protect children and adolescents, promoting programs that prevent violence and detect and refer cases that need special protection. Today, 40 percent of Guatemala's municipal governments have these protection offices. A UNICEF-supported education program in Guatemala has helped more than 38,751 at-risk students stay in school. UNICEF has also developed the Voces por ti app as a mechanism for families and students to report gang-related violence, bullying in schools, domestic violence, abuse and sexual harassment. Other UNICEF programs focus on helping former gang members find their way back into the community. In Honduras, UNICEF provides drug and alcohol abuse counseling, job training programs and helps with the removal of gang tattoos. UNICEF's work is driven by a longheld belief that investing in children yields the best returns for any society. An investment in violence-free environments for children prevents individual harm, promotes social cohesion and helps reduce crime. Investing in educating children bets on a country's growth. UNICEF is committed to helping every child reach his or her full potential, regardless of borders. Learn more about how UNICEF supports and protects Central American migrant children every step of the way. End the detention of children seeking refugee status or migrating, by introducing a range of practical alternatives.